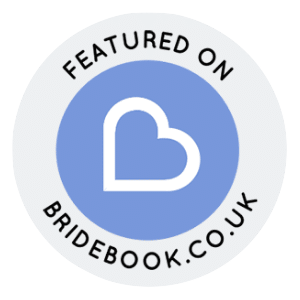 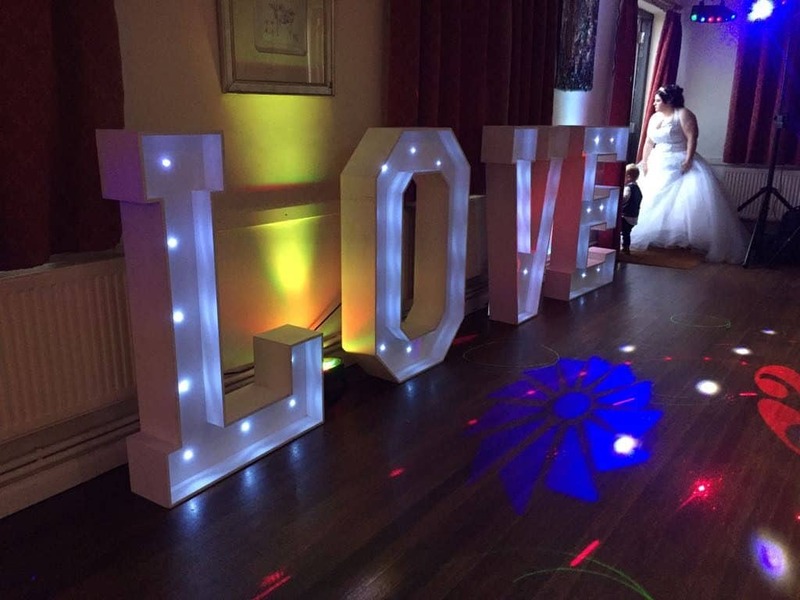 We provide our unique but stunning and beautiful “LOVE” & “MRS & MRS” “MR & MR” “MR & MRS” or we can offer your initials (i.e Simon & Joanne = S&J) as well as “PARTY” and significant numbers such as 18, 21, 30 or 40 etc (we can provide any letter/word/number or slogan) as 4ft Tall Illuminated Letter Hire for your event, whether it be a small gathering or the party of the year you would not be disappointed with these magnificent lights! 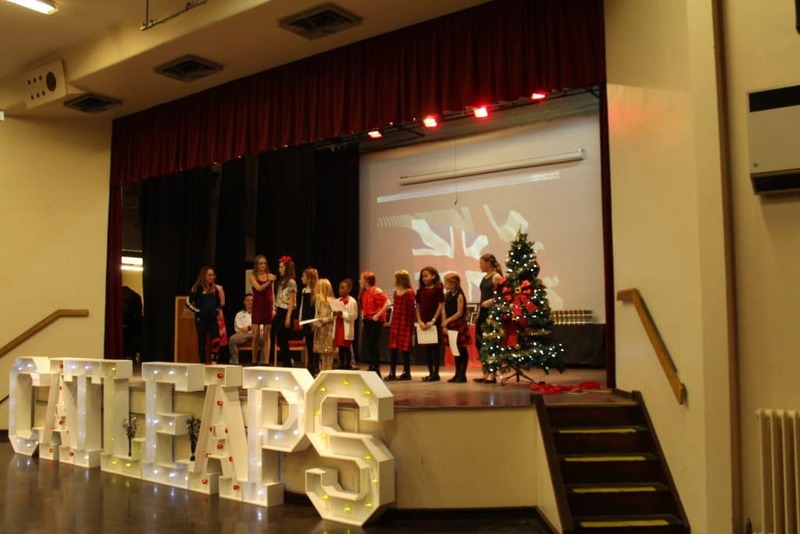 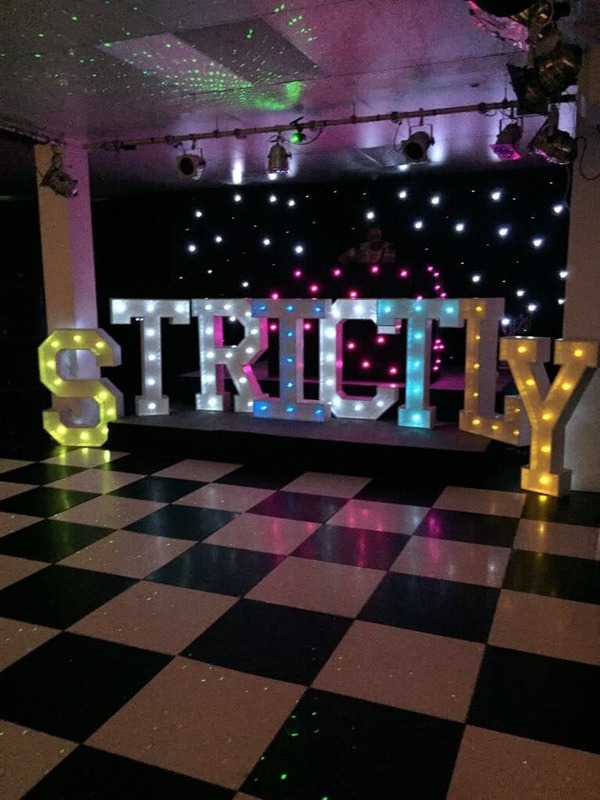 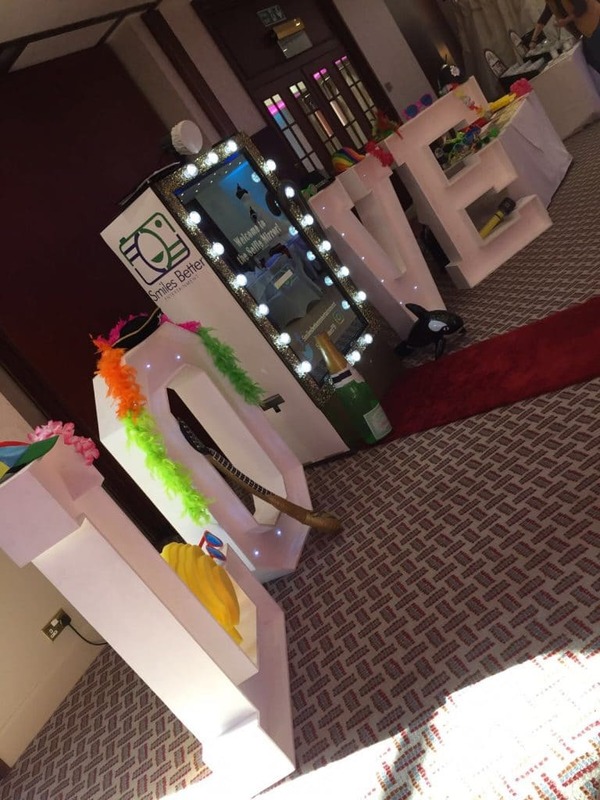 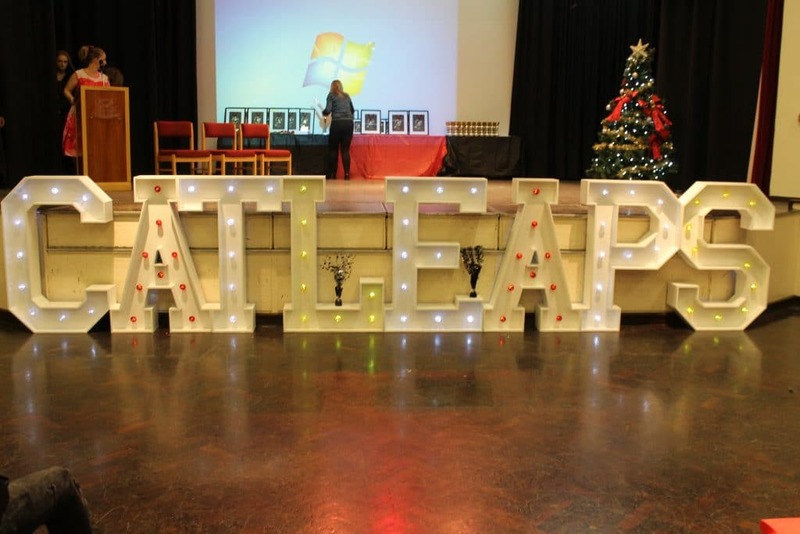 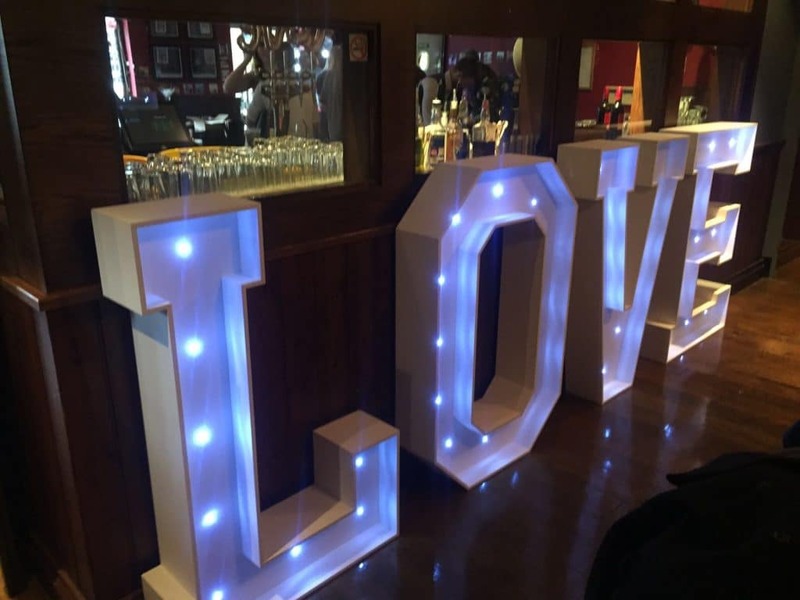 The Illuminated Letter Hire provides that added individual and unique stamp and is a perfect additional decorative item to any type of themed events from birthdays to engagements or weddings to retirements, right through to Corporate Events, product launches or Awards. 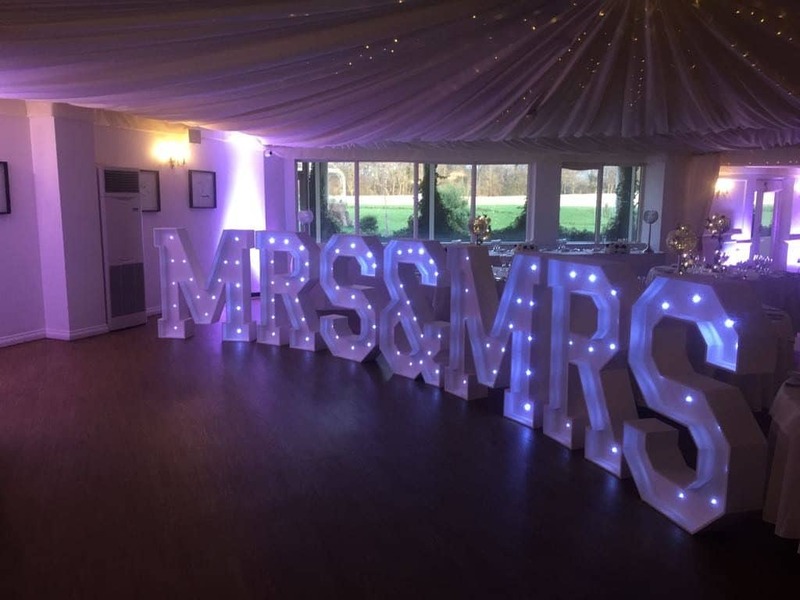 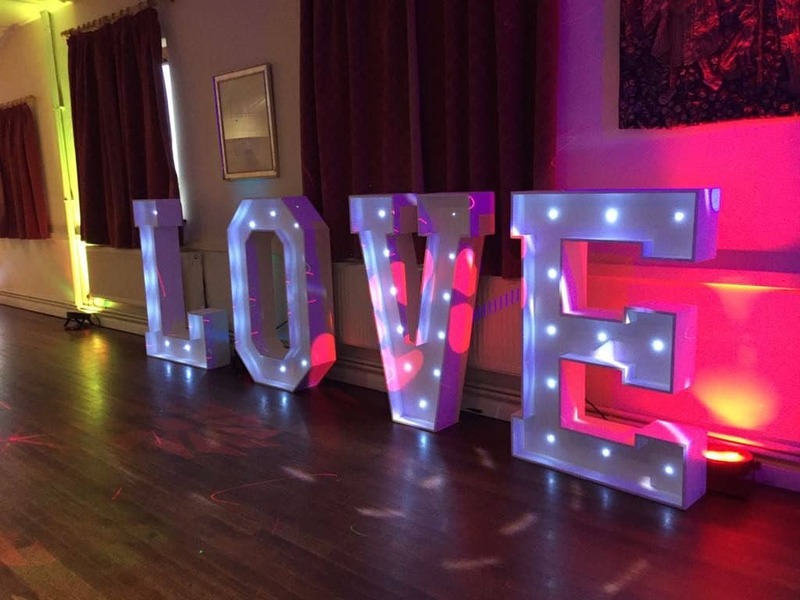 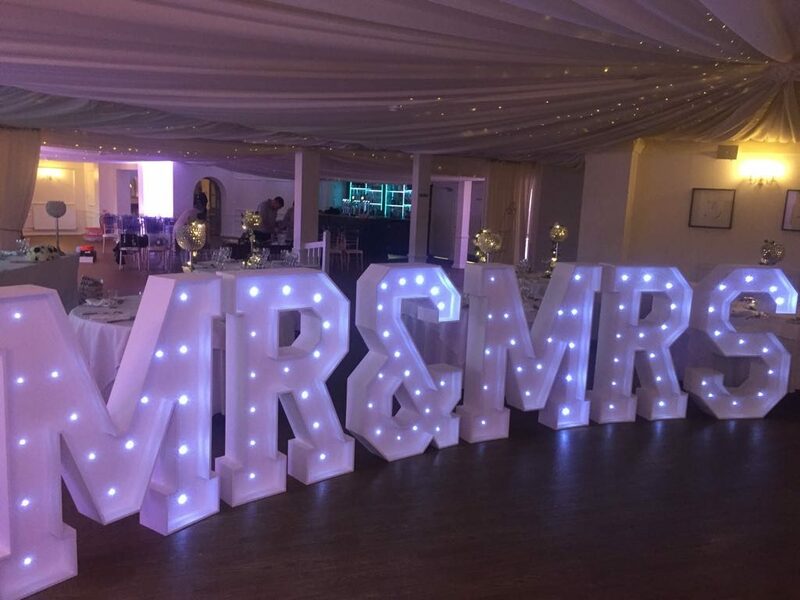 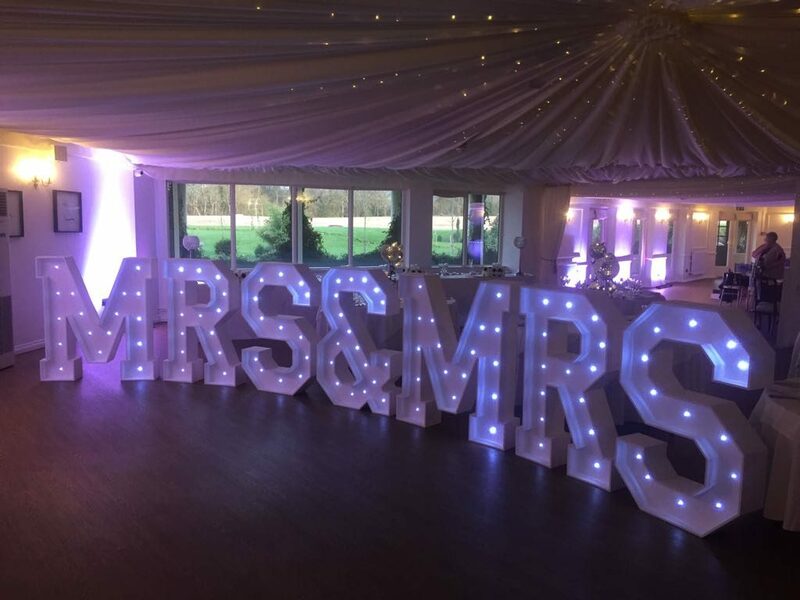 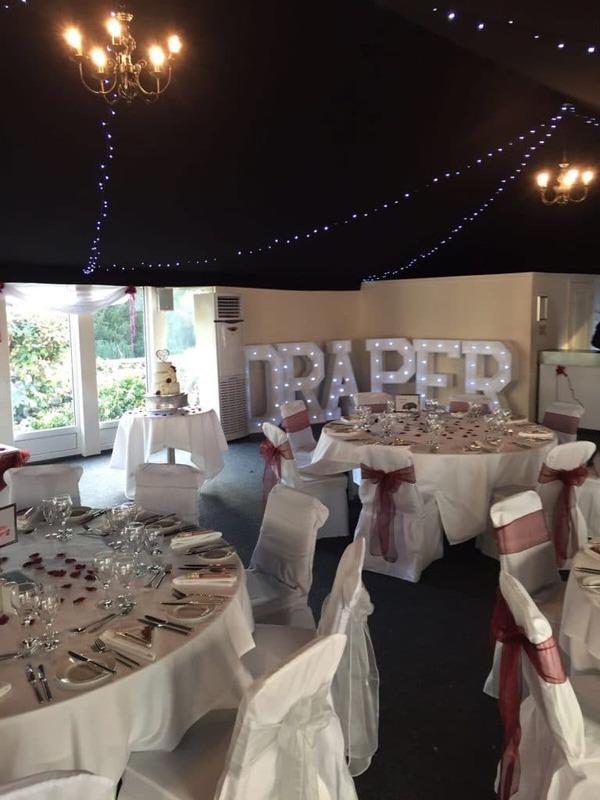 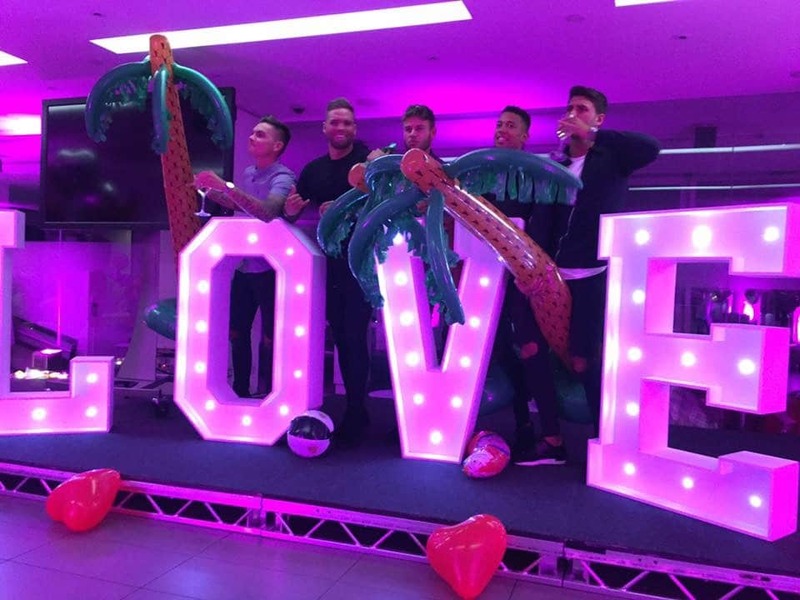 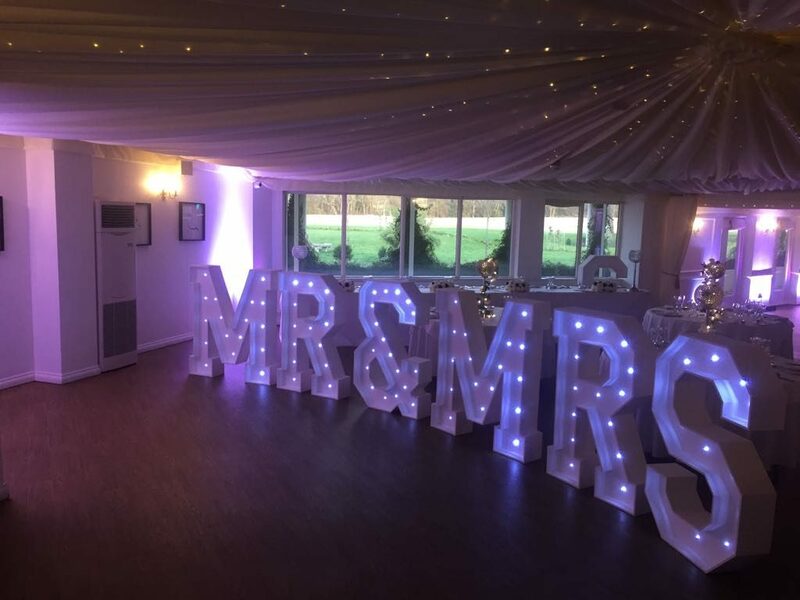 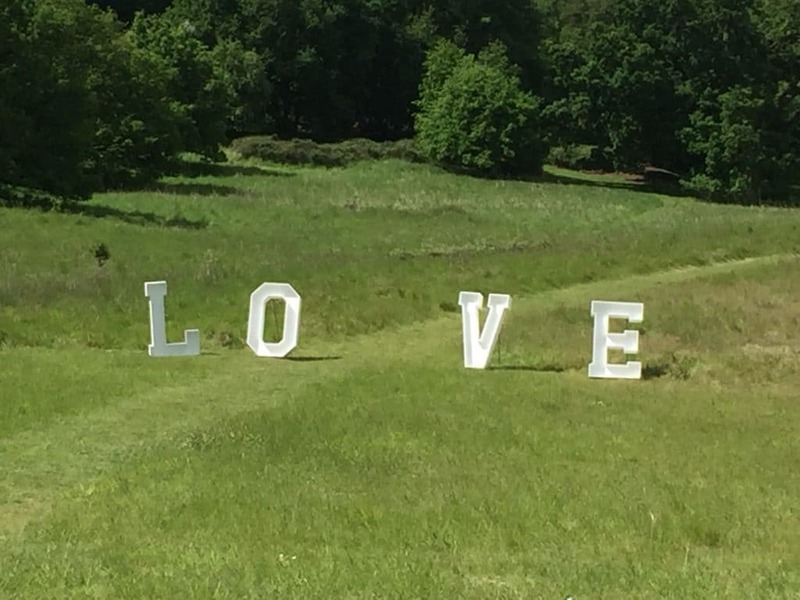 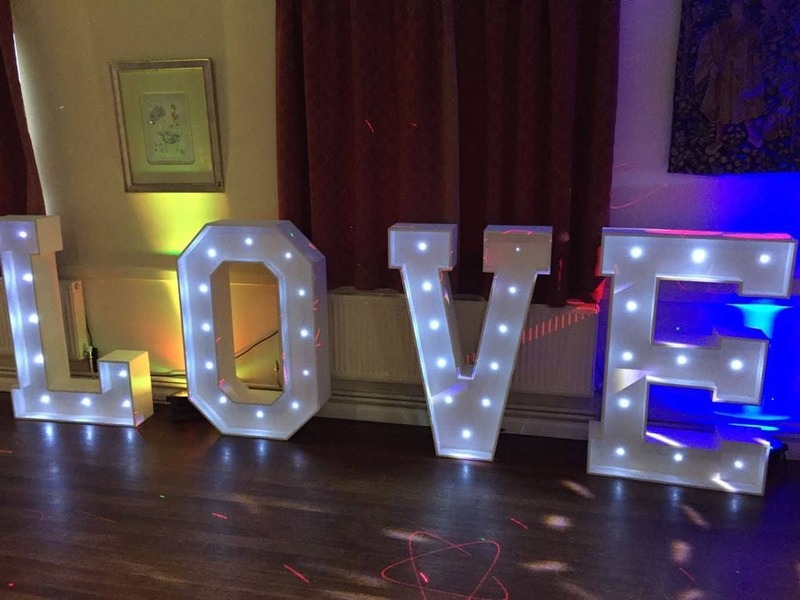 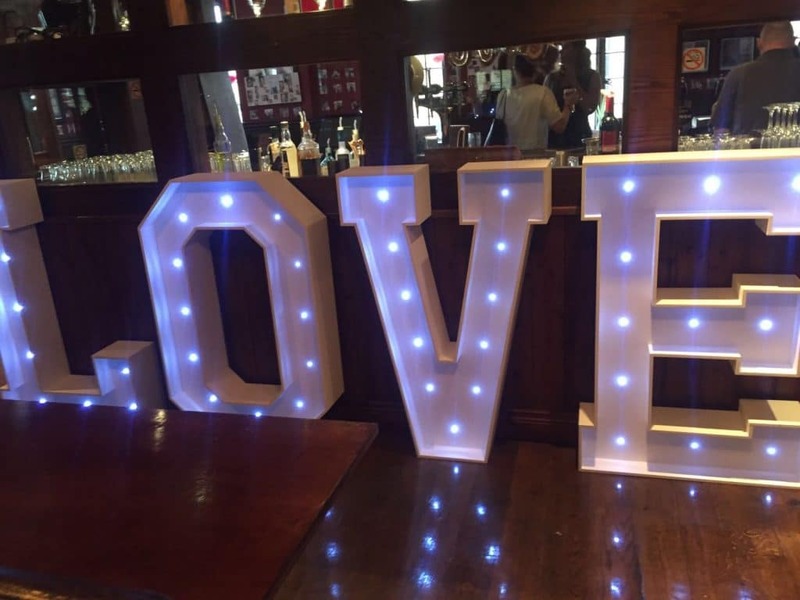 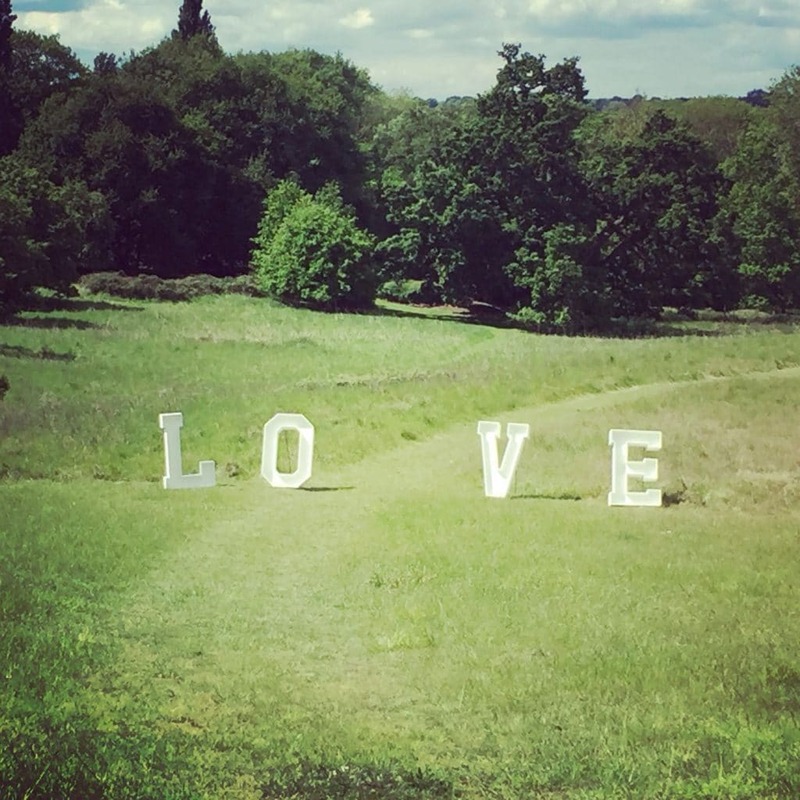 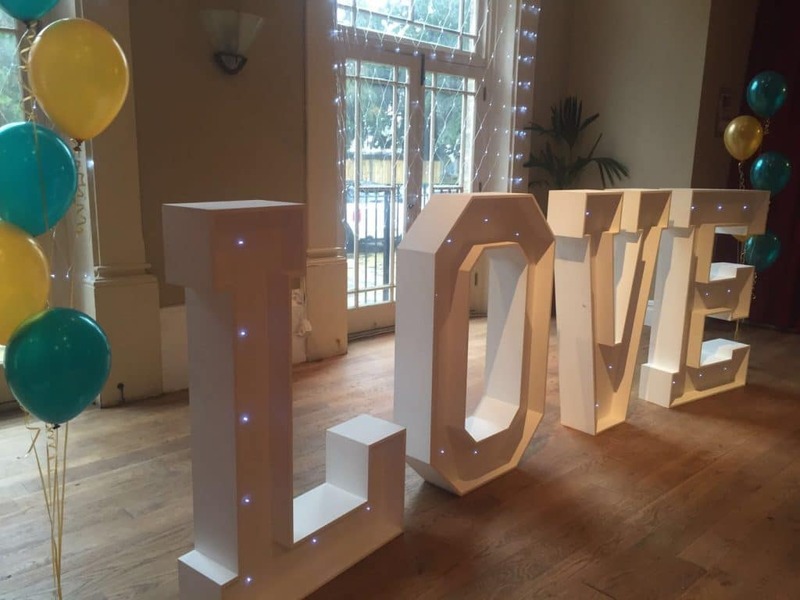 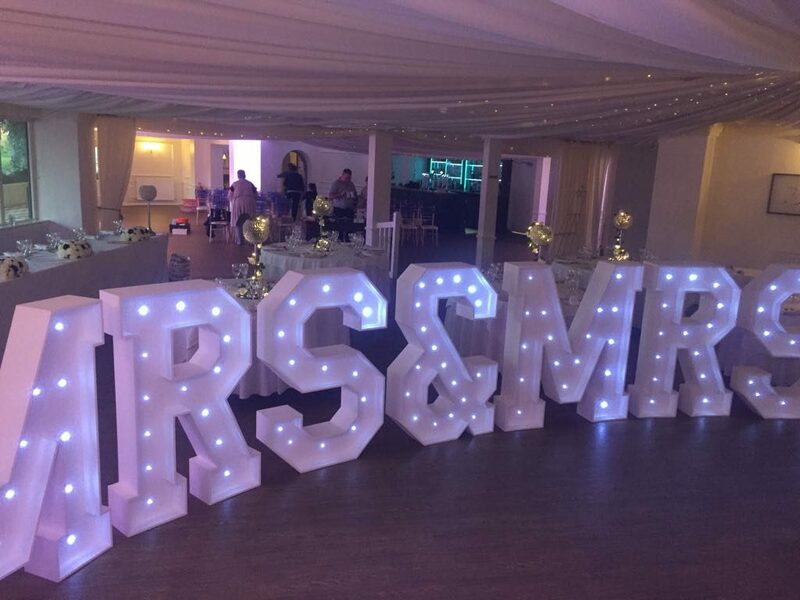 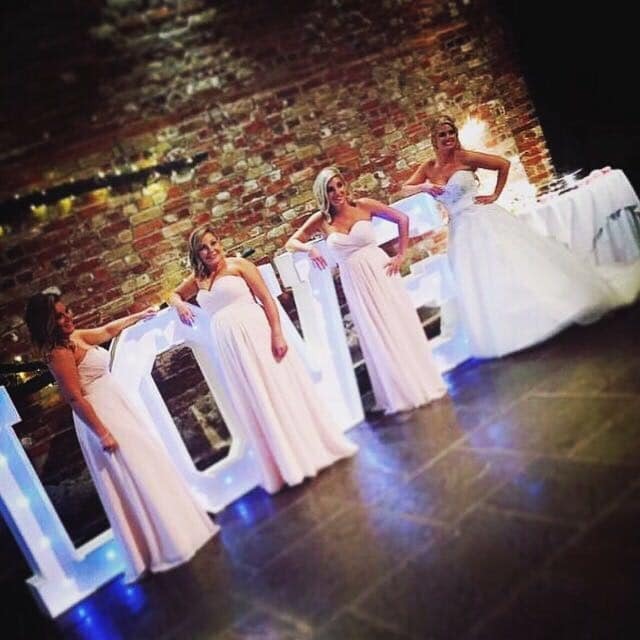 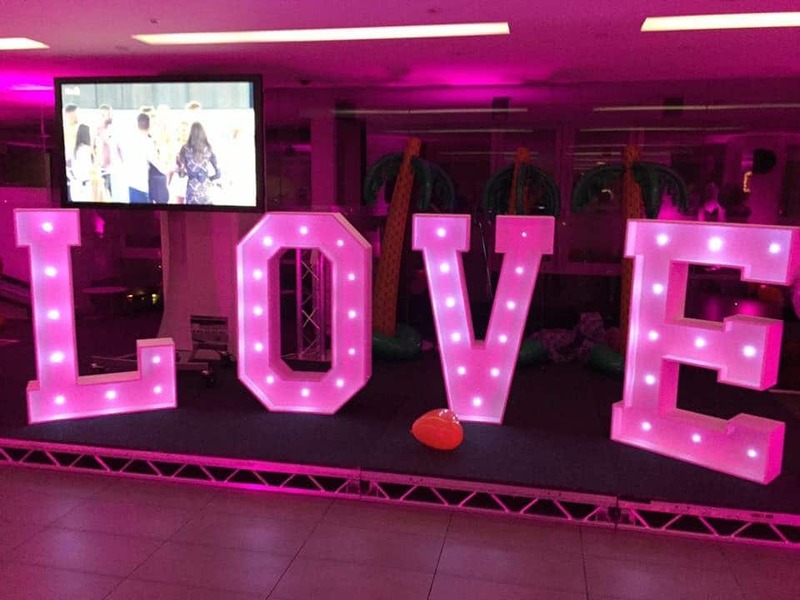 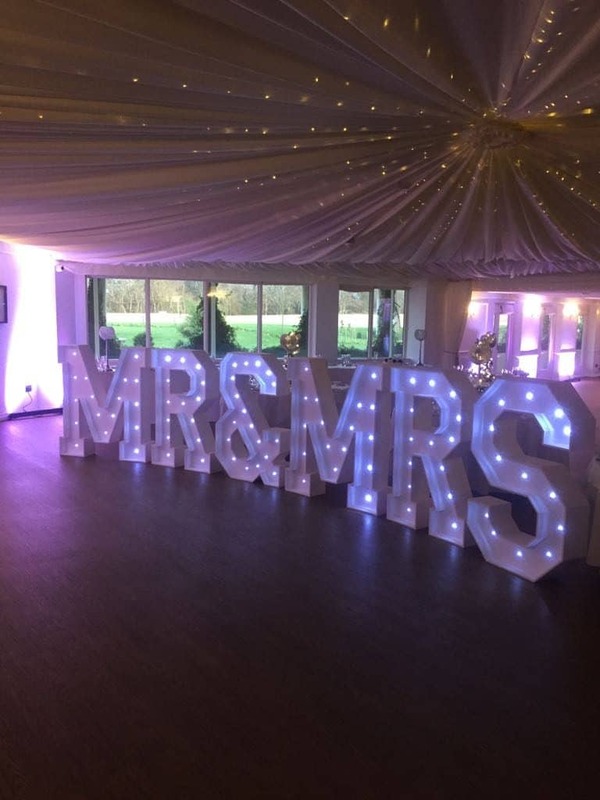 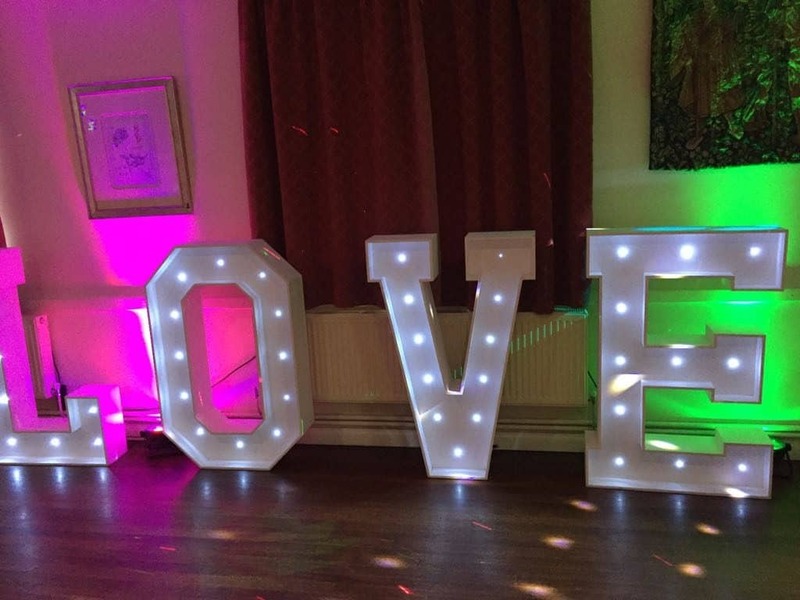 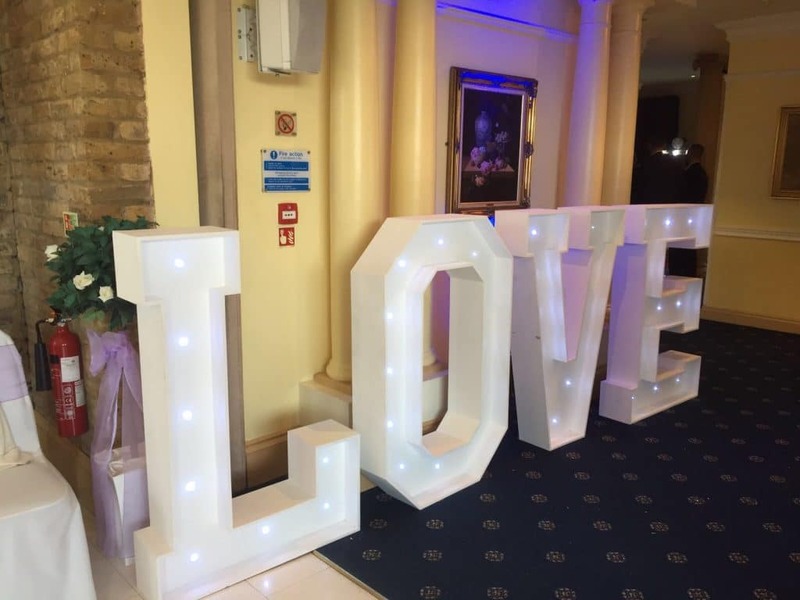 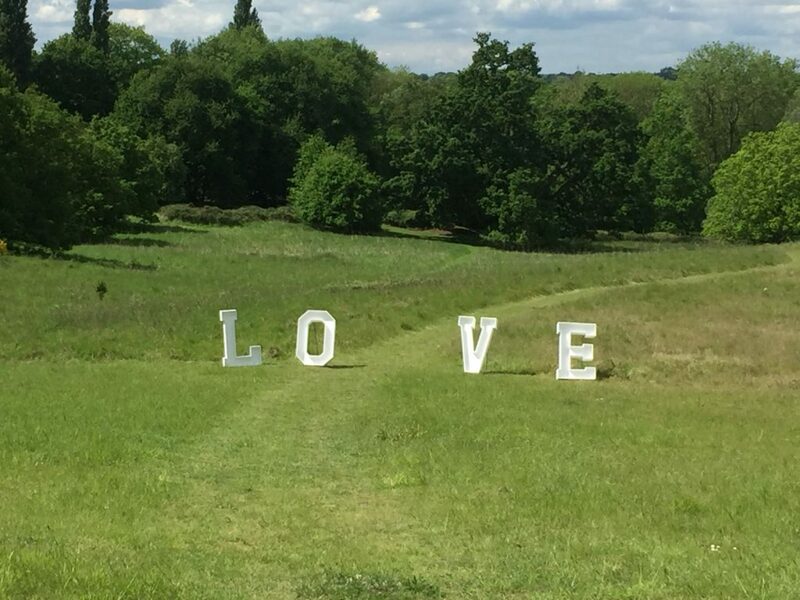 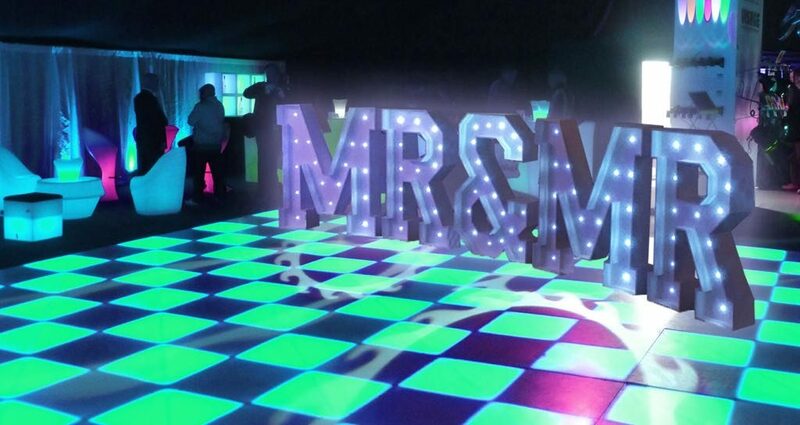 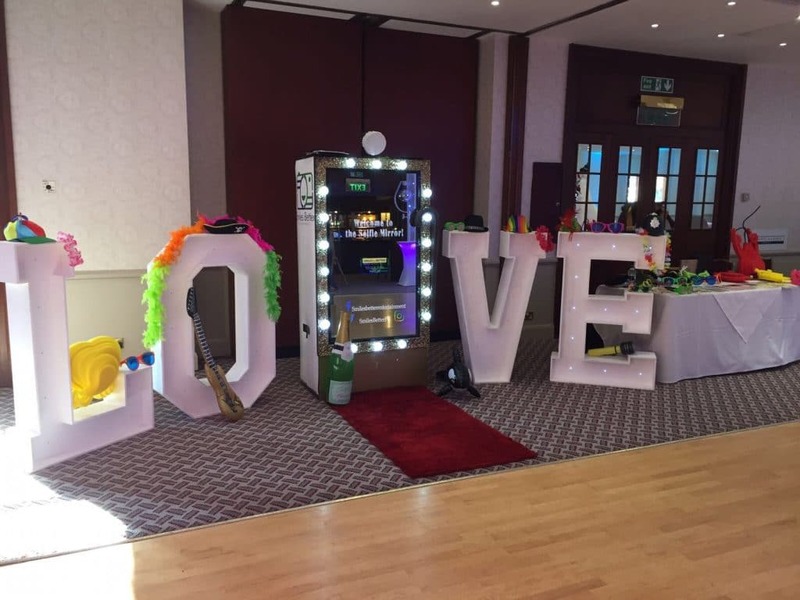 In order to maximise the use of the 4ft Wedding Letters we can arrive and collect when required to ensure these stunning items are shown off in all their glory! 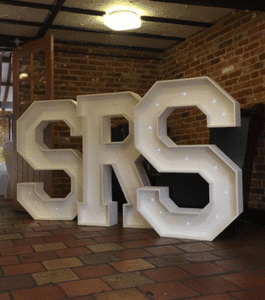 (and boy will you want to show these off). 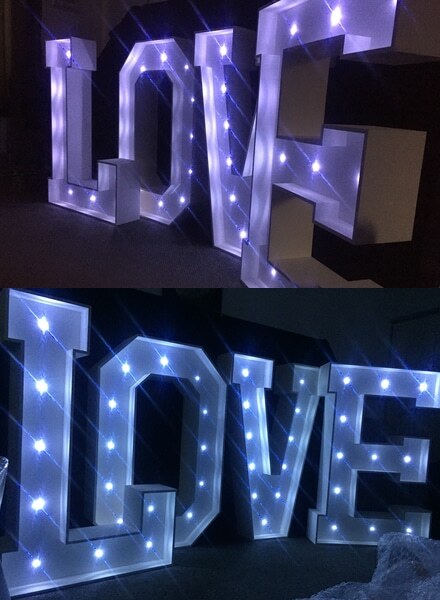 Our Letters are battery operated so have added flexibility as they can be placed anywhere. 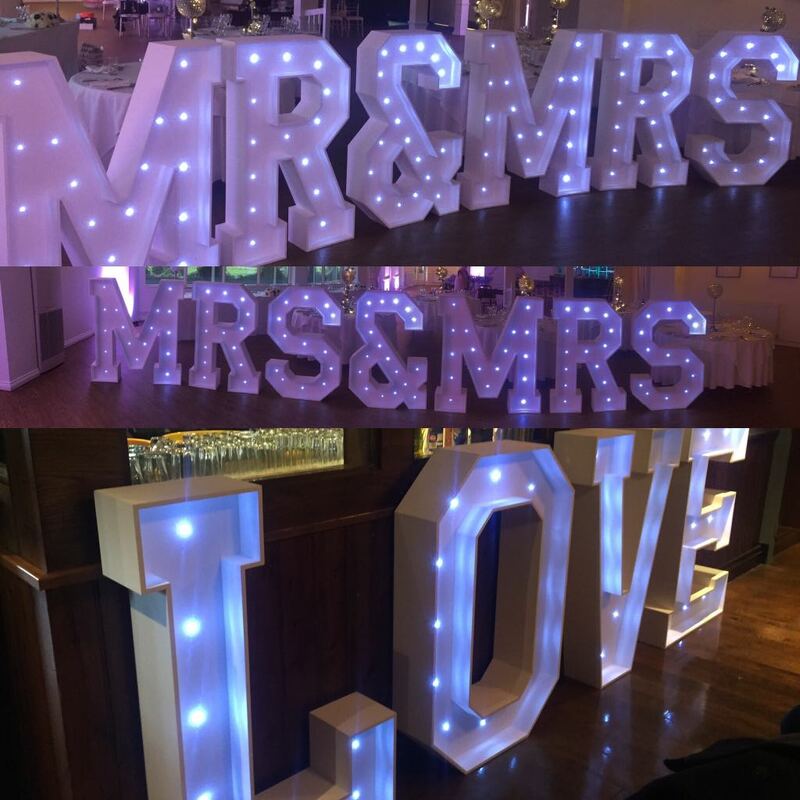 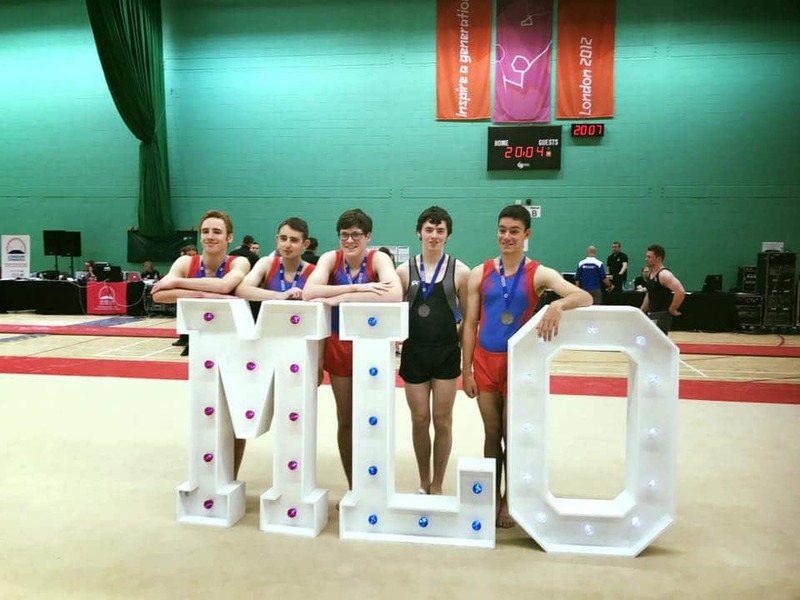 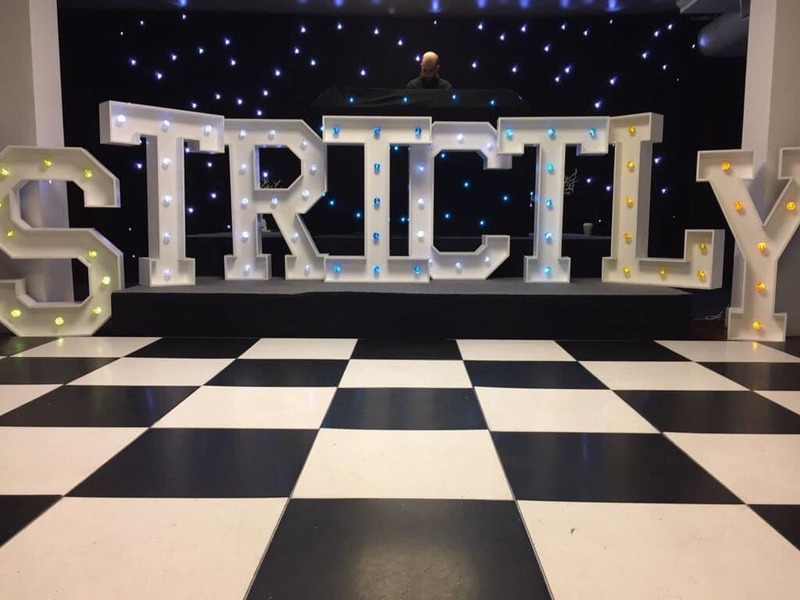 They offer either a flashing or static lighting options suitable to your event, our lights are “Ice White” as standard and are free standing and fully moveable around your venue as the event moves from your sit down meal to your evening party if required, we can guarantee that you and your guests would be blown away with these at your event!!! 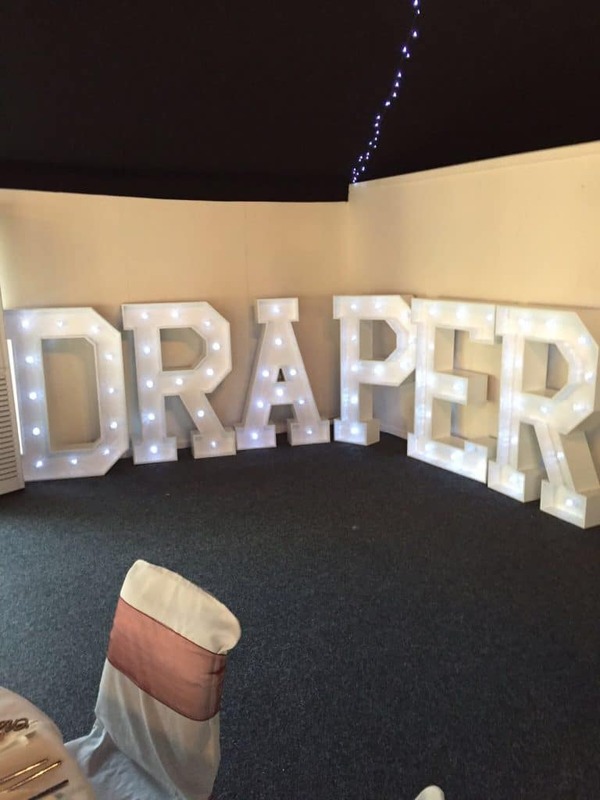 We also offer the option of coloured bulbs, so you can be sure that you can match your theme. 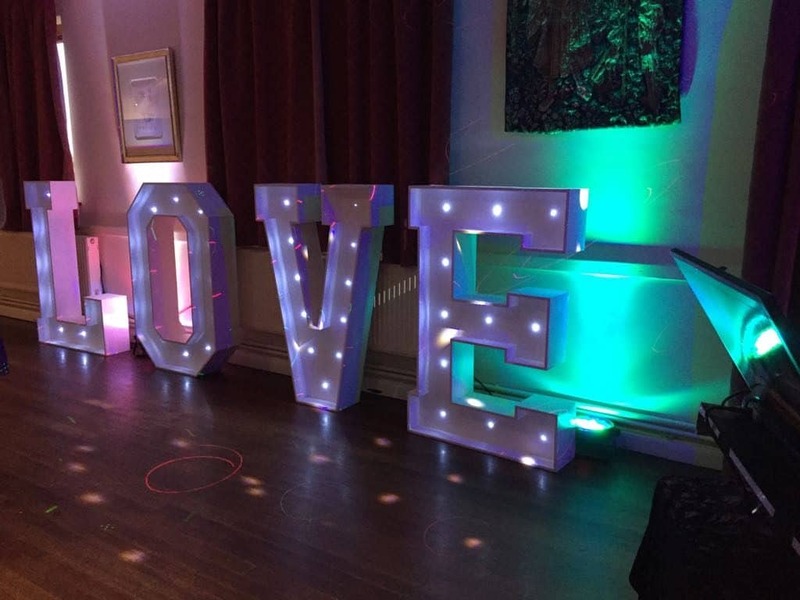 Letters/numbers are priced at £60 each.